Paphos prances through ancient Roman ruins and careens along the glittering Mediterranean coast of Cyprus, seducing poets and dreamers with tales of beguiling sirens and flying horses. Paphos, a UNESCO World Heritage Site, is steeped in romance and mythology and home to over 35,000 people. Attractions include Paphos Archaeological Park, Tombs of the Kings and Petra tou Romiou. 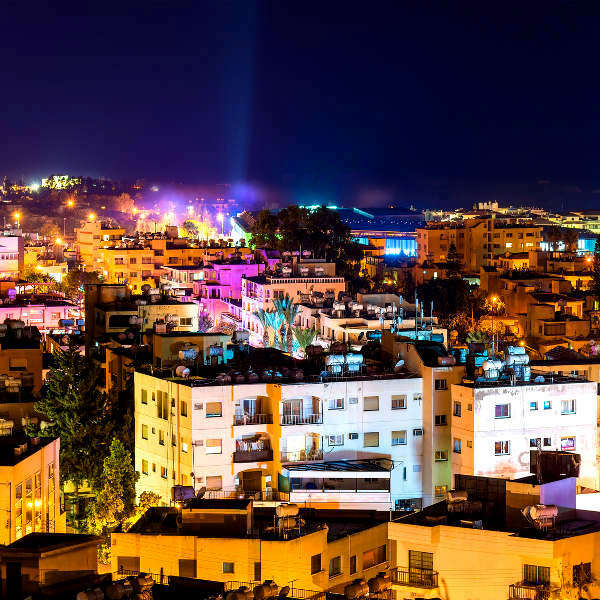 Surrender to ancient mystique and electric nights with cheap flights to Paphos. Paphos is home to Paphos International Airport (PFO), which is a 20-minute drive from the centre of the city. Paphos International Airport serves a multitude of airlines, including British Airways, Condor and Eurowings. Popular international flights to Paphos depart from Johannesburg and Cape Town. Flight duration from Johannesburg to Paphos is approximately 20 hours and 50 minutes. 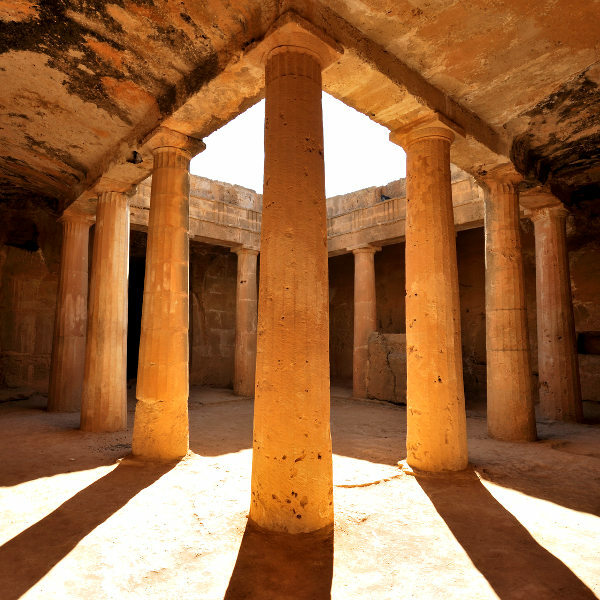 There is no escaping the allure of history and mythology in Paphos. Visit the birthplace of Aphrodite, the goddess of love, and explore ancient ruins that whisper of mystical legends. Chase lazy beach days with sultry nights and electric beats on the main party strip - Agiou Antoniou (or “Bar Street”). Lose yourself in dance clubs, beach bars and cocktail lounges. Nothing quite compares to the wild beauty and exotic allure of Mediterranean beaches. 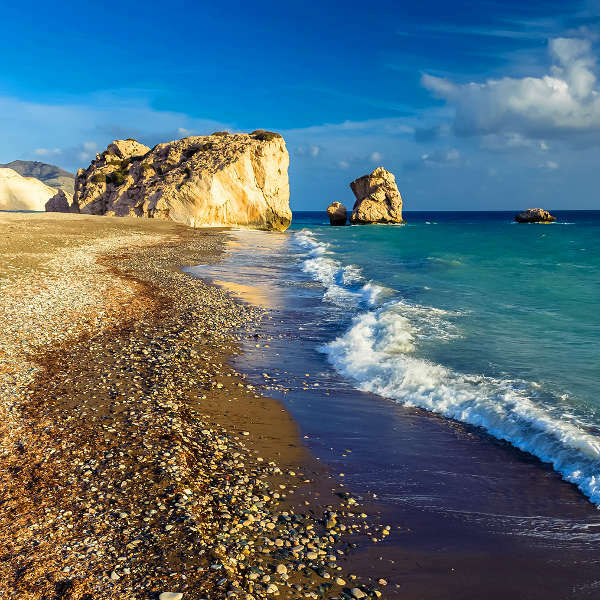 The most famous beaches are Petra tou Romiou, Coral Bay, Pachyammos and Municipal Beach. Paphos experiences a Mediterranean climate with hot summers (May to September) and rainy winters (November to March). The best time to visit Paphos is during spring (March to May) and autumn (October to November). These months offer warm days and beautiful landscapes. September is the peak month for festivals. Notable events include the Pafos Aphrodite Festival, Paradise Jazz Festival, Paphos Wine Festival and Paphos Beer Festival. For cheap flights to Paphos, the best time to visit would be during the rainy season. Pathos is the original island of love. According to legend, Aphrodite, the goddess of love and beauty, was born from the shimmering waves surrounding Petra tou Romiou. This mystical rock is one of the most visited sites in Cyprus and the bearer of many myths and legends. Some say Aphrodite can sometimes be seen in the wild foam, while others believe swimming around it will bring eternal youth, beauty and true love. Whether that is true or not, there is no denying the ethereal charm of this city. Immerse yourself in ancient history and classical mythology at sites such as the House of Dionysus, the ruins of Agora & Odeon, 4th century Tombs of the Kings and Sanctuary of Aphrodite. The Paphos Fort and Hrysopolitissa Basilica are also archaeological wonders. Search for the Adonis Baths & Waterfalls for a taste of the wild Cypriot landscape, or spend your days lost in an idyllic haze on the beaches of Paphos. Once the sun has dipped below the horizon, surrender to delectable Greek cuisine and the romantic decadence of Paphos nightlife. Compare several airlines and book your cheap flights to Paphos online at Travelstart! South African passport holders require a visa to enter Cyprus. A Schengen visa will be valid if you visit one of the Schengen countries before arriving in Cyprus. A Cyprus National Visa is required if you will only be visiting Cyprus. The Cyprus High Commission is situated in Pretoria. Although the crime rate in Paphos is low, you should still take the usual precautions and use common sense throughout your trip. Travel insurance to cover theft and medical expenses is recommended. Remain vigilant of your surroundings at all times and avoid venturing into isolated areas at night (especially if you are alone). Leave valuables locked in the hotel safe and avoid carrying large sums of cash. Do not leave your drinks unattended at bars and clubs and only make use of reputable taxis when heading back to your hotel late at night. Avoid large gatherings and public demonstrations. You should familiarise yourself with the local laws and customs before arriving. Proof of yellow fever vaccination is required if you are travelling from an infected country. Immunisation against hepatitis A & B, cholera and rabies is recommended. Routine vaccinations include MMR, diphtheria-tetanus-pertussis, meningitis, varicella, polio and influenza. Stick to bottled water.